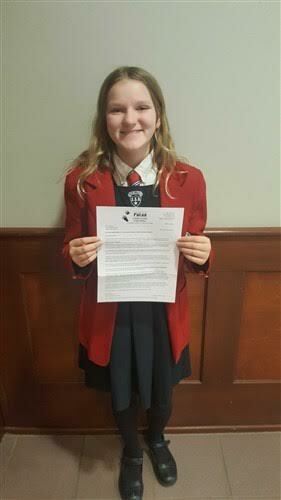 This summer, during the month of July, we were given an opportunity to attend the Canadian Mathematical Society’s Annual Camp at Dalhousie University in Halifax. We stayed for five days in residence, attending seminars during the day and hanging around campus or participating in activities in the evenings. It gave us exposure to a high level of education beyond the confines of the classroom, and allowed us to meet peers with similar interests. On top of this, it gave us a taste of university life, and introduced us to people working practically in the field of mathematics, as well as to other students who were aspiring to that. We would like to thank our Math teachers, especially Mrs. Dufour, for thinking of us and wanting to send us to this camp. We are so grateful for this wonderful opportunity! One event King’s-Edgehill School Senior Students look forward to is the opportunity to tour a university campus. 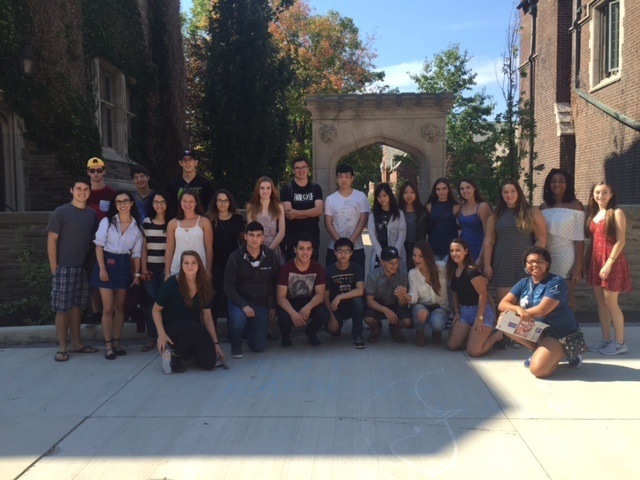 Every other year, a limited group of students have an opportunity to travel to Ontario to visit a number of universities. 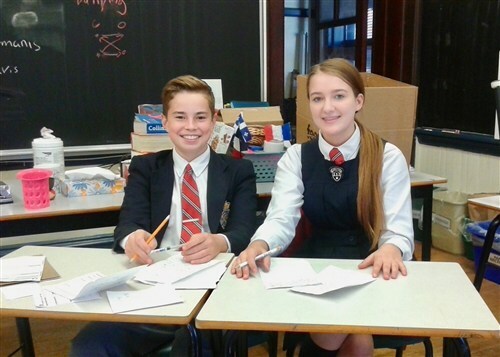 On Wednesday, May 16th, we travelled to Dalhousie University for the final Math Circles event of our school year. The theme was a “math party”, and it was a great interactive way to end our yearlong commitment to math enrichment. Erick Lee, a mathematics consultant from the Halifax Regional Centre for Education, led us through the party problems and provided opportunities to play games while exploring mathematical themes. 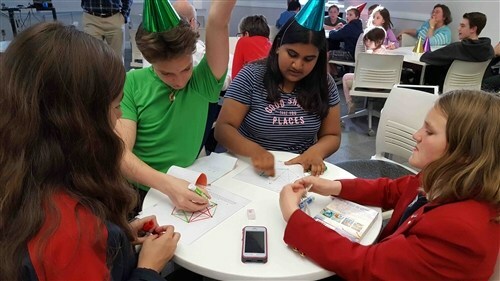 The activities started with the Game of Sim; students competed in pairs to outsmart their opponent by trying to avoid making triangles while connecting the vertices of a polygon. This led to a discussion about Ramsey’s Party Problem and several other party-themed puzzles. Time flew by as our students worked collaboratively to solve the problems while enjoying the camaraderie of math friends and, of course, the free pizza and drinks. 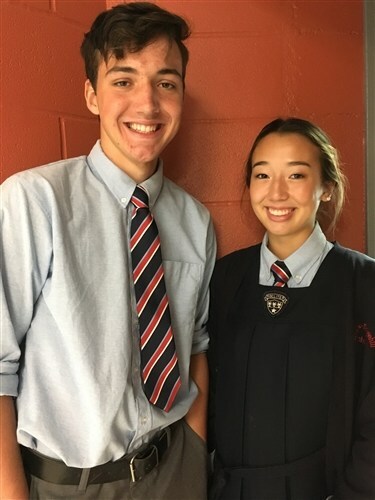 King’s-Edgehill was well represented by: Matvey Semenenko, Max Escaravage, Oliver and Athena Cox, Jayden Morrow and Mathangi Somasekaram. We look forward to reconnecting with the Dalhousie Math Circles team when the new school year begins in the fall. The King’s-Edgehill School Robotics team travelled to Montreal, Quebec last week to compete in the Canadian qualifier for the World Robotics Olympiad (WRO). The WRO is a LEGO based competition in which students are responsible for designing, creating, and programming autonomous robots to complete a series of tasks in less than two minutes. Thirteen teams from across Quebec, Ontario, and Nova Scotia competed in the Senior Division (ages 16 to 19). While all the competitors from King’s-Edgehill School did well at the competition, the robot created and programed by the team of Jiashu ( Jay) Liu, Weijia (Torres) Liu, and Xianlong (Daniel) Zhang did particularly well coming in second place overall. My congratulations go out to all those involved. I am very proud of the accomplishments of such a talented group of future engineers, computer programmers, and scientists. I would also like to thank Chris MacLean and Aynsley Sasaki for their involvement with this trip. Without their help and great sense of humor this incredible learning experience could not have happened. The King’s-Edgehill School Senior Robotics Team competed in an in-house qualifying competition on Thursday, February 8. The top five teams from this event went on to compete against 20 schools from across Nova Scotia at Robofest held at Acadia University on Saturday, February 17. 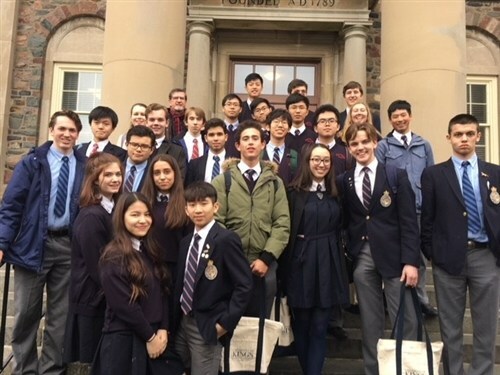 On Tuesday, February 20th, the Grade 11 King’s-Edgehill School ToK class made a pilgrimage to the University of King’s College, our sister institution, formerly located here in Windsor but since the 1920s located in Halifax and is now associated with Dalhousie University. Joining us at UKC were ToK students from Horton High School as well as a guest student, Bronwyn Appleby. 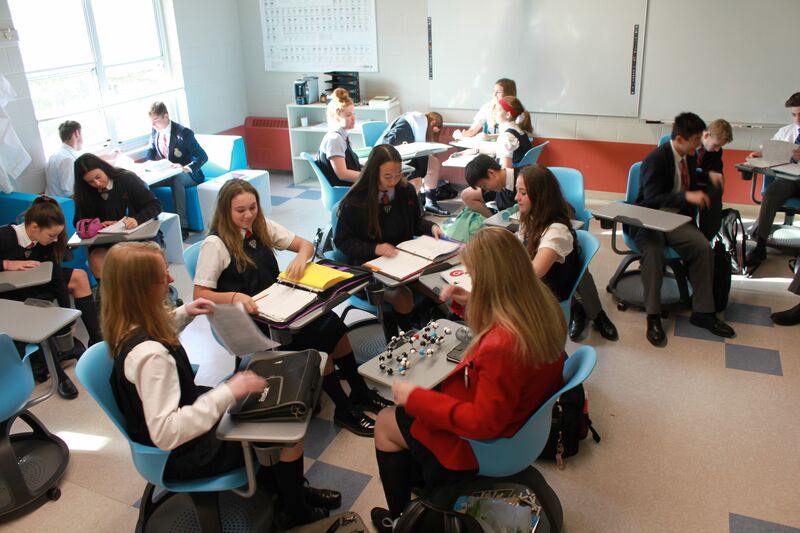 Academic excellence is of the utmost importance to everyone at King’s-Edgehill School. We understand that some of our programmes, such as the rigorous International Baccalaureate programme, can be intense and require a lot of work and focus. It is for this reason that KES makes sure all students have access to the necessary tools and resources for them to do their best and reach their full academic potential. In keeping with this tradition, KES offers a daily tutorial period for Senior Students as well as extra help, for students who need it. 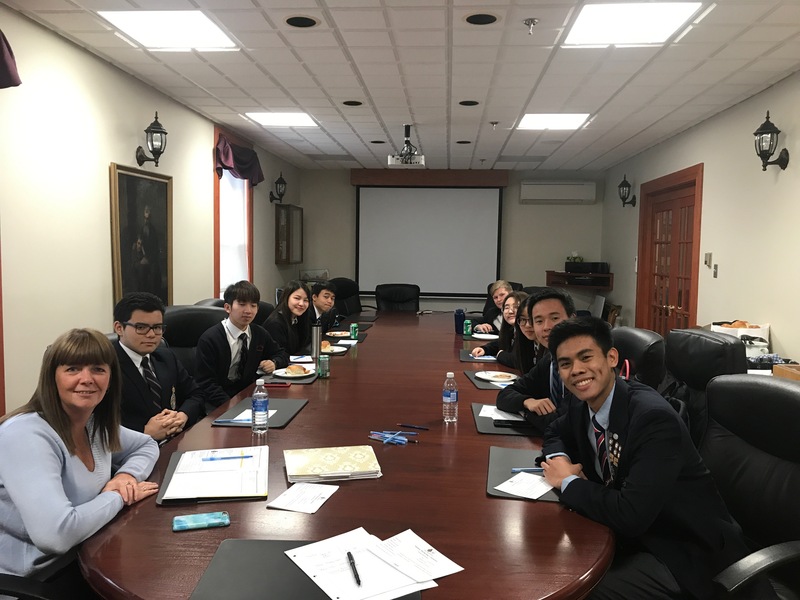 King's-Edgehill School's new Student Marketing Team held their first meeting on Wednesday, February 7th. Their first task was to help spread the word and organize KES’ “Bring a Friend” to School Day on February 14th. If you’re a KES interested in business as well as marketing and communications then you should consider joining the Student Marketing Team. They're still accepting members! It’s a brand new team and it’s the perfect introduction to a career in marketing and communications.